We spent a few days in Cusco and the Sacred Valley after checking off our bucket list adventure of doing a Machu Picchu tour. 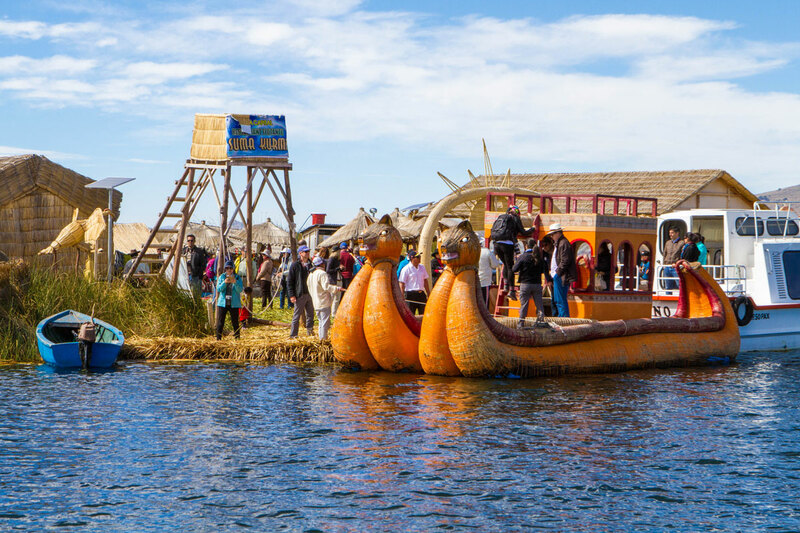 Next up on our South America adventure was a visit to Lake Titicaca Peru with kids. But how do we get to South America’s largest lake? It turns out that the Cusco to Puno bus with Inka Express was the perfect option for us. 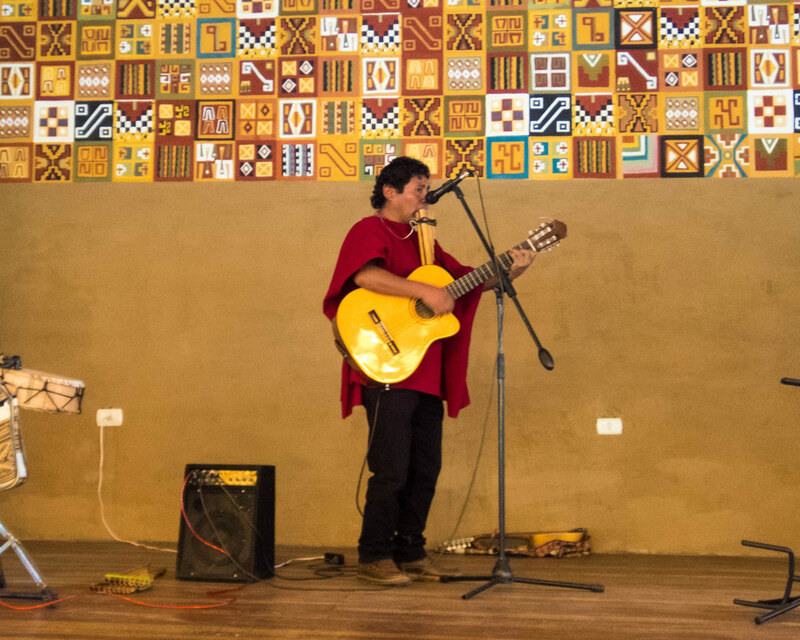 You can read our entire two-week Peru itinerary here. When Kuoda Travel suggested that we take the Inka Express tour bus with kids to get from Cusco to Puno I was very apprehensive. How would the boys do on a 9+ hour ride on a crowded tourist bus? I inquired about alternatives to the bus. There were 3 three other possibilities: private car, plane or train. This was my first inkling as we were touring the rest of Peru with a driver. However, the cost was outside of our budget. This option would be great for avoiding the tourist crowds. Private car tours are excellent since they allow you the ability to stop on demand and explore with much more freedom. Of course, it is also possible to hire your own car and do a self-drive. This was not feasible for us as we had arrangements from Puno on. The fees we would have incurred for the one-way drop would have have made the self-drive option also outside of our budget. It is not actually possible to fly directly to Puno. Instead, you have to fly to the neighboring town of Juliaca. Although the nonstop flight is only an hour long, time at the airport and the drive from Juliaca to Puno make this option longer than it seems at first. Although, the plane option does save some time over the bus ride. Ultimately though, we decided not to go this route as it would mean missing out on some amazing sites along the way. 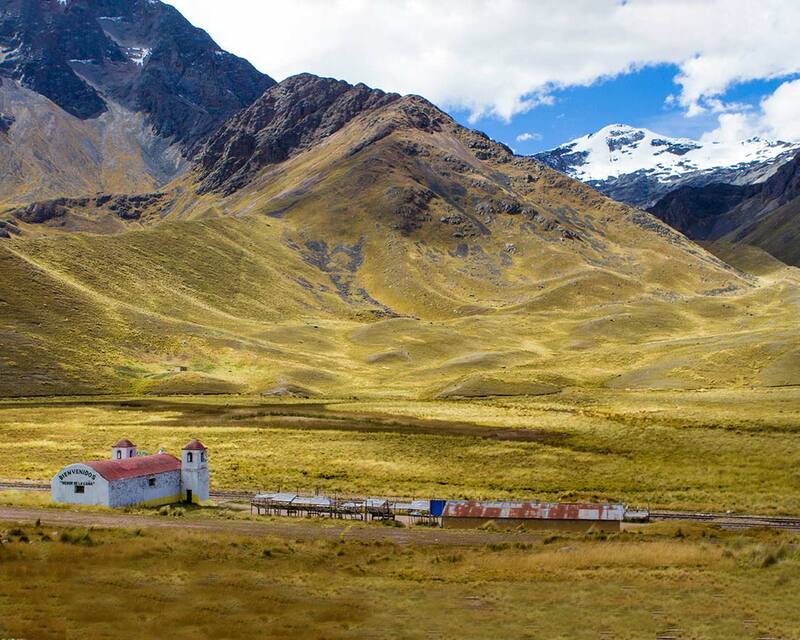 Taking the Andean Explorer train from Cusco to Puno would have been a luxurious way to travel. The trip takes 10.5 hours and although it follows the road most of the way, it only makes one stop. 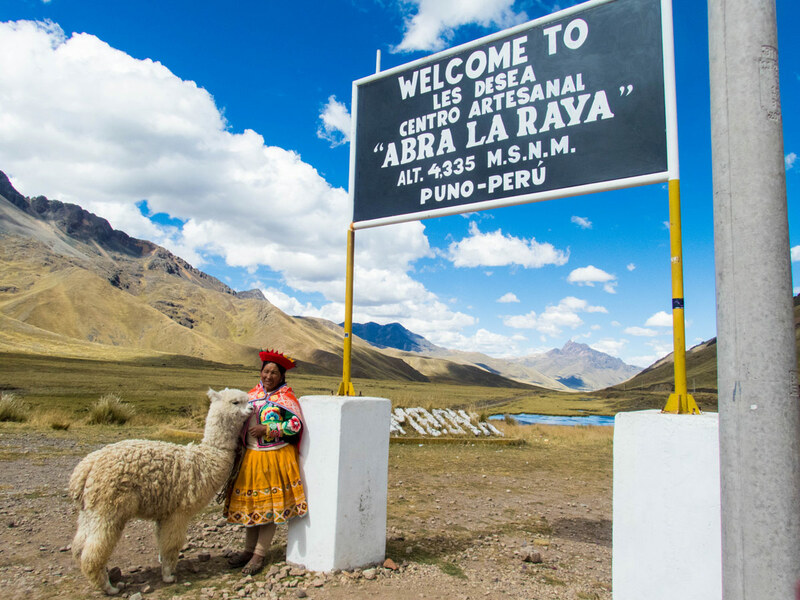 While this Cusco to Puno train might be relaxing, from a sightseeing perspective, a Cusco to Puno bus is the best option for those wanting to experience Peru. Many buses in South America operate in a more similar fashion to airlines than what I’m used to in North America. There are various class levels from budget to luxury. But the luxury tour buses in South America are often still very reasonably priced. On top of that, they often offer high class seating, refreshments and even a host/hostess. 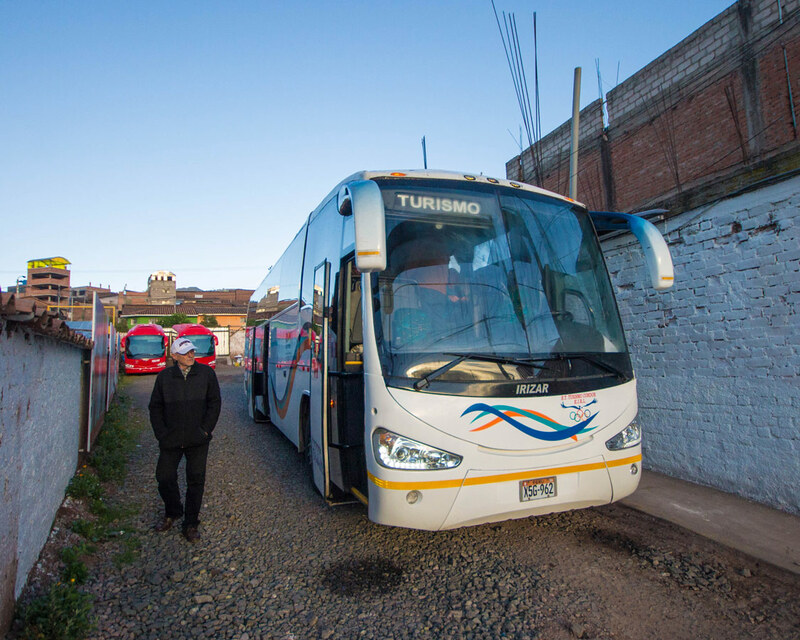 The Inca Express Cusco to Puno bus was billed as a luxury bus that provides comfortable seats and beverages. The bus did not disappoint. The Inka Express bus was clean and comfortable. The well-padded seats also reclined so the boys did not have any issues finding nap time on the road. Much to my surprise, there was also a server/hostess that traveled with us from Cusco to Sicuani (the halfway point of the trip). Another hostess joined us from Sicuani to Puno. After each stop, we were offered a beverage. Our choices included: Inka Cola, water, coca tea or coffee. Just like in a plane, you could also ask for a beverage at any time. We encouraged the boys to drink lots so as to avoid altitude sickness. Luckily, there was no need to worry about having too much fluid either. There was a washroom on board. Pro-Tip: You can purchase a bus ticket that includes the entrance fees to all the stops. However, if you choose not to, it is also possible to pay for the entrance fees to only the sites you want to see on the bus. Our driver collected the fees (cash only) at the start of the trip. The tourist route from Cusco to Puno is also dubbed the Route of the Sun. 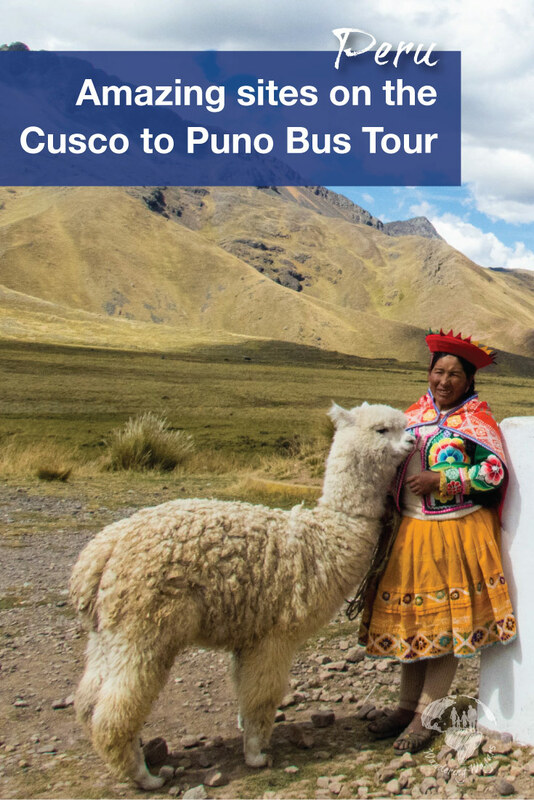 The distance from Cusco to Puno is 380 km but the ride on the tourist bus takes almost 10 hrs. This is because the bus stops every couple of hours to offer a chance to explore the fascinating sites along the way. We were picked up at the hotel by 6 am to be driven to the bus station. Although we had pre-purchased our tickets, we still had to check-in at the on-site ticket office before falling in line. With assigned seating, getting to our seats was a breeze. After going 45 km outside of Cusco, we had our first stop was in the village of Andahuaylillas. 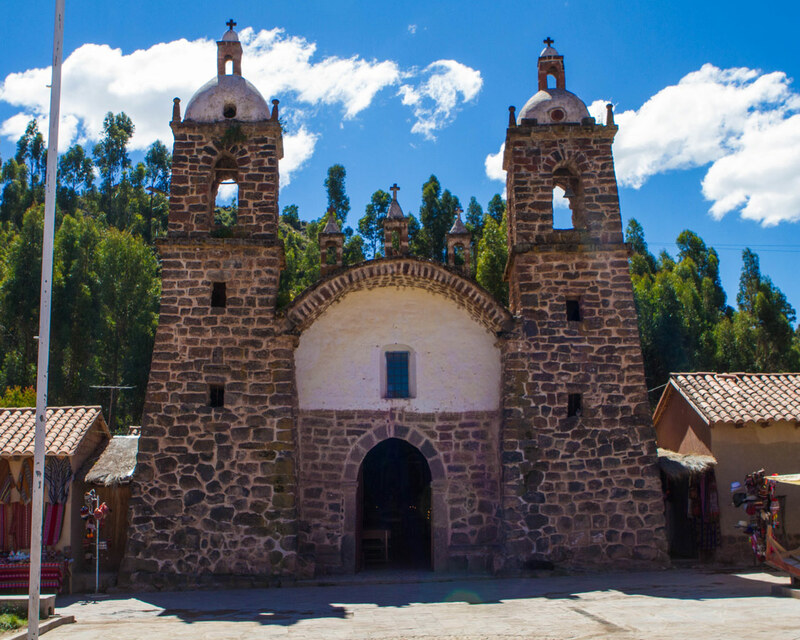 The village is known for its church, Iglesia de San Pedro, also known as the Cusquenian Sixtine Chapel or the Sistine Chapel of the Americas. Pro-Tip: Entrance to the church is 10 soles. If you do not want to enter the church, you don’t have to pay the fee and can wander around the square in front of the Iglesia de San Pedro. It was disappointing to find out that we were not allowed to take photos inside the church. In lieu of this, we were provided with a CD full of photos and video. The baroque interior was filled with carvings and paintings. Many were laden in gold-leaf. A guided tour is part of the entrance fee. We learned that the church has a guard round the clock to protect all the gold and silver treasures that are said to be held in the church. Next, we stopped in the Colonial town of Checacupe. The town has a church which we, unfortunately, didn’t have time to visit as we were in line to cross the replica Inca bridge in town. We were glad to have seen this bridge as we didn’t have time to visit the Q’eswachaka Rope Bridge in Quehue, Peru. 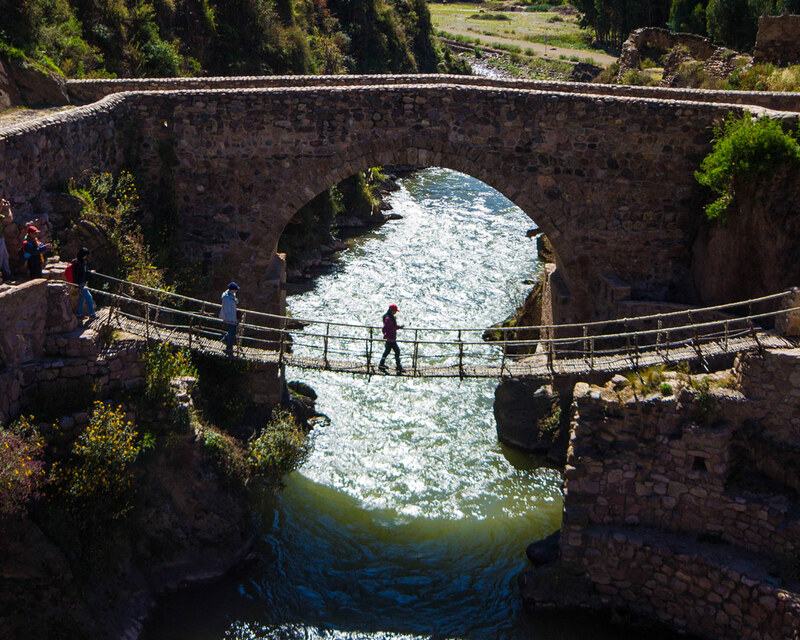 Although the Urubamba river below didn’t look too fast, the bridge certainly looked intimidating at first glance. But C was insistent that he cross the shaky bridge by himself. Have a look at the video at the bottom of the page to see how well he did! Our final stop before lunch was the small village of Raqchi (San Pedro de Cacha) to view the Inca ruin of Raqchi. The entrance fee was 10 soles. Upon entry, we immediately caught sight of the Temple of Wiracocha (also known as the Temple of Raqchi). Wiracocha was a deity and according to the Incas, he was the creator god. The temple was built in his honor. It stands an enormous 92 m long (302ft) and 25.5 m wide (84ft). 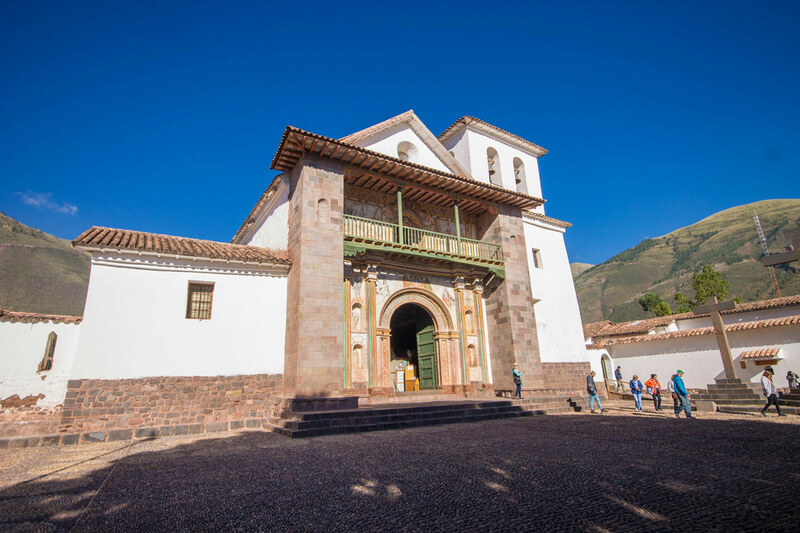 The Temple once had 22 columns (11 on each side) of stone blocks which held up the largest known Inca roof. After the Temple, we visited the rest of the complex, thought to be one of the largest Inca sites to be discovered. There were living quarters, storehouses, and even ceremonial baths. The kids really enjoyed going around pretending to be archaeologists, taking pictures and discovering the site for the first time. After going inside the archaeological complex for our guided tour, we walked around the square were many locals were selling pottery. We learned that the townspeople are expert potters and many of the decorative pieces sold in Pisac and Chinchero come from Raqchi. We also stopped to admire the town church before hopping onto the bus. Our next stop was for lunch. We stopped in the town of Sicuani, the capital of the province of Canshis, where a buffet restaurant that caters to tourists is set up. There was a small but interesting museum at the upper level of the building that held the restaurant. They had displays explaining Peruvian culture. After a brief visit, it was time for lunch. The price of the buffet was included in the cost of the bus tour along with hot drinks (tea and coffee). Juices and other cold beverages were charged extra.There was a nice selection of food. The boys had no issues at all finding something to eat from the soup, to the main dishes, and dessert. In fact, I think they gave all the dessert choices two thumbs up. Our first stop after lunch brought us to the highest point in our journey, La Raya. 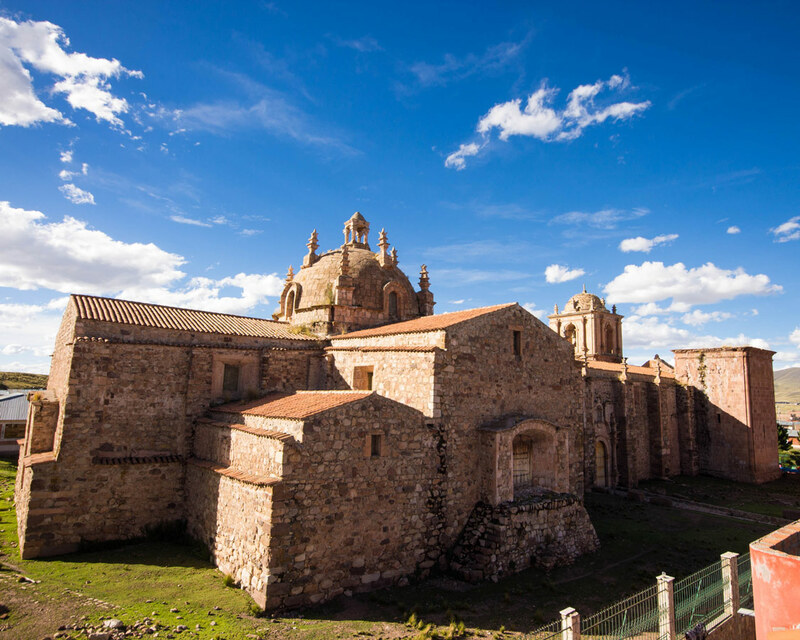 The area also marks the division between the departments of Cusco and Puno. 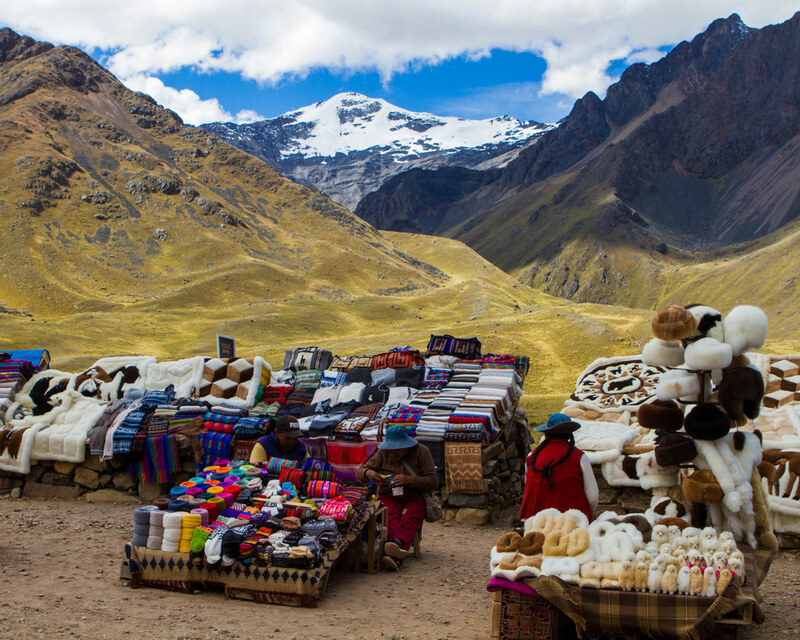 A small market was setup at the stop selling typical Peruvian wares such as sweaters, hats, scarves, and decorative rugs. We only had a few minutes to enjoy the majestic view of the snowy peaks of Apu Chimboya and take pictures. It certainly took our breath! Pro-Tip: The Inka Express is also equipped with an oxygen tank on board in case anybody had not yet fully acclimatized. Good thing they did as somebody on our bus tour needed it. 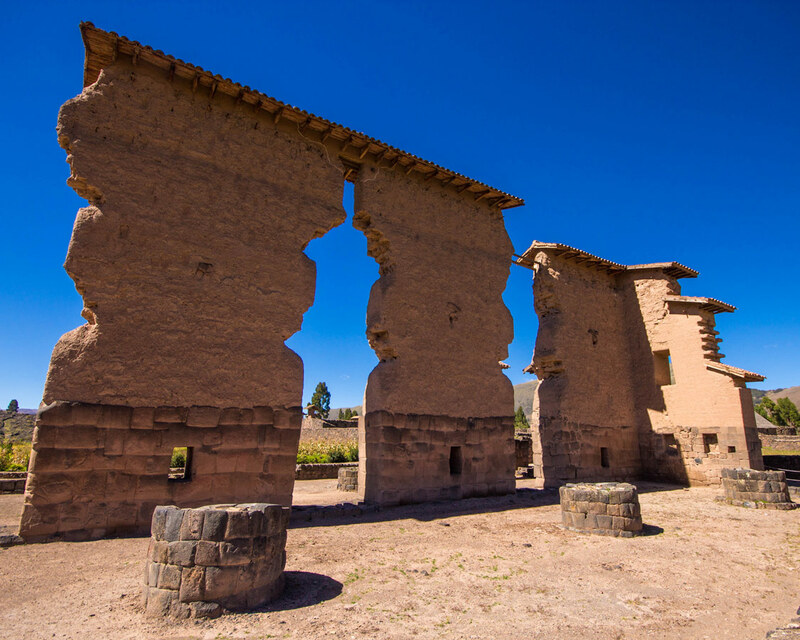 The last stop before Puno would be the village of Pukara (Pucara). The town is famous for its talented ceramists who craft the “Toritos de Pucara” or the little bulls of Pucara which can often be found adorning rooftops in houses in Peru. We also saw them adorning the fence surrounding the church of Pukara. Unfortunately, the church was closed at the time of our visit. 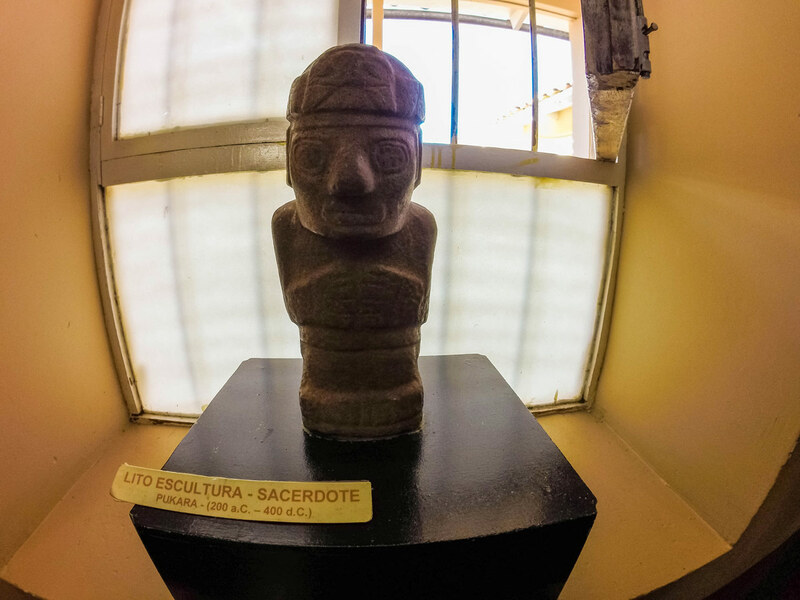 Across from the church was the Pucara Stone Museum (Museo Litico de Pucara). There were some amazingly intact pieces of stone work and pottery that were from pre-Inca times. The source of the pieces was the archaeological complex Pucara found further up the road from the museum. Unfortunately, the archaeological complex was not part of the bus tour. The museum rooms were tiny and the boys felt a little claustrophobic during the guided tour. They enjoyed the self-tour of the grounds, where several larger stone pieces were also displayed, much more. The last leg of our journey was just over an hour long. Before we knew it, it was 5 pm and we were pulling into the bus station in Puno. Even with all the sites we visited, there were much more we wish we had time to see and explore. The bus ride was comfortable. Also, the number of stops ensured the kids were not bored on the journey. We had some snacks for the journey, including some chocolates we made in the ChocoMuseo in Cusco. Having drinks freely available on board ensure that the kids stayed well hydrated. The one thing that was disappointing though was that the bus did not have in-seat power outlets. C enjoys listening to his audio books on long drives and as the ride was almost 10 hrs long, it would have been nice to have some place to keep iPads and cell phones charged. Have you been on a long bus ride with kids? Wow! Peru is way up on my bucket list. It looks like you folks are having an incredible adventure. The Inca Express Cusco to Puno bus stops at some amazing places! Iglesia de San Pedro looks unbelievable! All the gold inside looks blinding, I guess they have their reasons for not allowing photos. The Inca Express sounds wonderful, and with servers on board too, who knew?! I like how you include the information on the elevation of each place; it adds an extra touch of information. I hope I get to visit one day soon. That looks like one of the best bus rides I’ve seen. I love that they stop at some beautiful places so you get to see a little on the way. The view from La Raya is amazing. I think you made the right transportation choice! Can totally understand. Since my little one came into life, we stopped doing long bus trips. We prefer private vehicle instead. Your tips are very helpful indeed to help prepare for the adventure. Not bad. The bus definitely looks good. Good that you managed to keep your kids entertained in a 9hr bus ride. A chance to do sight seeing at every stop every 2 hrs? That’s actually excellent! I’ve gotta read about the American Sistine Chapel. The Suspension Bridge and Archaeological Complex are totally my kinda places! This bus trip route looks so pretty, I love all that scenery just wow. Sounds like a very organised company, especially stopping enough that you can get out stretch your legs and gives the kids a break. I also think it is a good idea that they have drinks available for the whole journey. There have been so many times I have done bus tours and you are offered nothing. The bus companies in South America seem to really have their act together! Wow this looks like a gorgeous! A long bus ride with kids could get crazy! I remember touring on a bus as a kid and the tour company operators did a good job of keeping us entertained. Absolutely love this! Great help for families who are constantly looking for travel ideas! This looks stunning – the mountains look so beautiful. I think they didn’t want tourists taking pictures everywhere inside the church and so that’s why it’s not allowed. Also very handy tips on making the journey. I LOVE Peru! wow, what a fantastic journey and great to learn about new ruins in another area! Good to know altittude sickness wasn’t too much of a problem while travelling. cool post. I found the busses in Peru to be incredibly comfortable, especially compared to the ones we have in the UK! The Inka Express looks great, especially with all the tourist stops that it makes. I made the same journey with Peru Hop which is an overnight bus ride and doesn’t stop anywhere. I would have loved to have seen the Iglesia de San Pedro and the stunning view at La Raya! They really are. I look at bus trips in Canada with dread. But in South America, they are a whole different experience! Surreal imagery! Glad that it turned out well for the entire family. Long bus rides can always be tiresome. I am forced to do it all the time even if I don’t like it. If I were you, I would have opted for the comfort of the train any day. Peru is something I am determined to do as I really want to see Machu Picchu! I would consider hiring a car like you said to beat the tourist crowds and being able to stop where we wanted! Very helpful article! I loved the bus trip and how you kept your kids entertained. Also there are nice stopovers like that church which is so golden and have lots of treasure. Suspension Bridge Inca and Colonial Checacupe is really beautiful but sometimes courageous to walk on it. 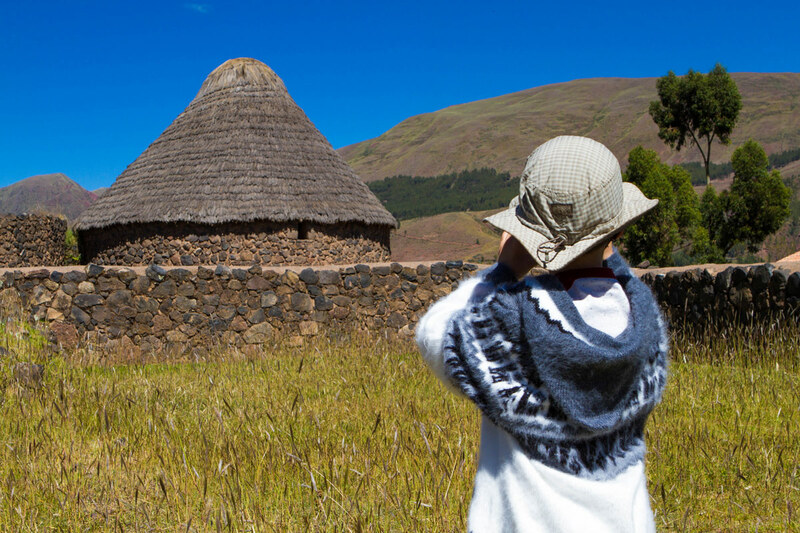 Temple of Raqchi is also a beautiful ancient monument. Little Peruvian market in valleys is the thing I always look for while travelling. I’m delighted to follow your blog as we are like minded and always travel with the kids! We have tentatively planned a trip to Peru and I would love to see Machu Picchu but it hasn’t worked out yet. These tips will really help us when we do get to visit! Thank you so much! It’s always a treat when we can meet other parents who take on such incredible travel with their children. I do hope that you make it to Peru! Thanks for sharing so many interesting sites apart from the famous ruins of Machu Pichu. I didn’t know Peru has so much to offer. The bus seems like a good idea to explore many places at a go. The Temple of Wiracocha impresses me the most. It’s sheer size and scale is overwhelming . The bus does sound like a good option when traveling with kids. I loved how it stops on a few stops along the way. The suspension bridge did look a bit scary! But it looks fun to experience! The place looks so stunning. The pic of the suspension bridge is amazing. Its such convenience to have food and toilet in a bus. The church also looks amazing. Looks like a super solid tourisma bus Christina. And the views are just gorgeous. I only spent 2 weeks in Cusco and sometimes gazed at the surrounding Andes in awe, being stunned at the inspired beauty of the place. I hopped between Lima and Cusco via plane but the bus option looks best to Puno for seeing the sights and all that good stuff. Fabulous snaps. We looked at this bus ride with the same trepidation as you. 9 hours on a bus… are you nuts? We also had no idea about the stops along the way and what a great surprise they were. Totally agree that they really know how to run the bus services along this route. Absolutely! They were super organized, well prepared, and they made the trip fun! Wow! 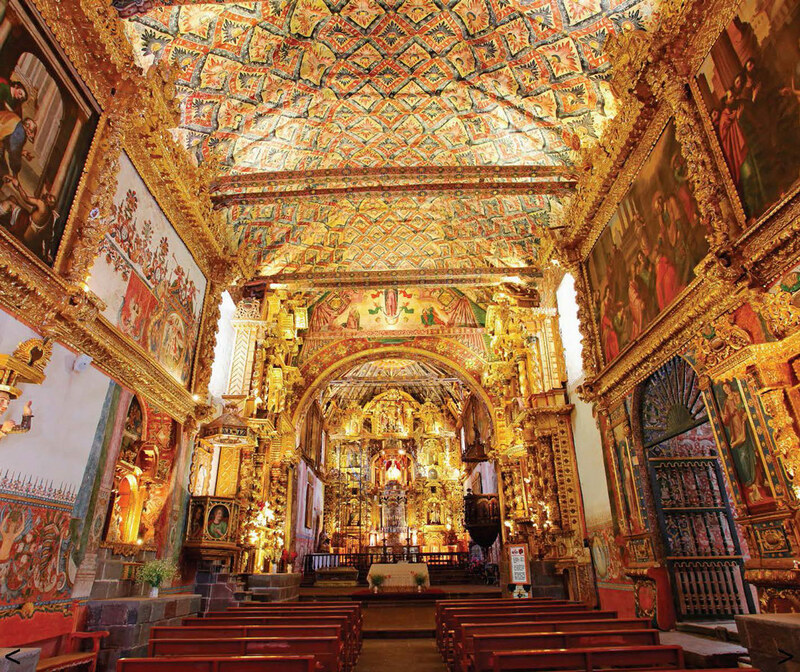 i have to visit the “Sistine Chapel of the Americas”! Thanks for sharing! Is the Deuter Kid Comfort III Kid Carrier the best option for Families on the Go?